What is the STDEV Function? The STDEV Function is categorized under Statistical functionsRANK FunctionThe RANK Function is categorized as a Statistical function. The function returns a statistical rank of a given value within a supplied array of. 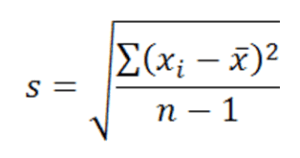 The function will estimate the standard deviation based on a sample. As a financial analystFinancial Analyst Job DescriptionSee a real Financial Analyst Job Description including all the skills, experience, and education required to be the successful candidate for the job. Perform financial forecasting, reporting, and operational metrics tracking, analyze financial data, create financial models, STDEV can be useful in using the annual rate of return on an investment to measure its volatility. A risky stock will show a higher standard deviation while a safer stock such as blue-chip company’s like Apple or Coca-Cola will show a lower standard deviation. Number1 (required argument) – It is the first number argument that corresponds to a sample of a population. Number2 (optional argument) – It is a number argument that corresponds to a sample of a population. Arguments must provide two or more numeric values to the function. The function can contain 1–255 numeric arguments. Arguments can either be numbers, arrays, or references that contain numbers. STDEV is used to calculate the standard deviation of a population sample. To calculate the standard deviation of a whole population, we should use STDEVP or STDEV.P instead. 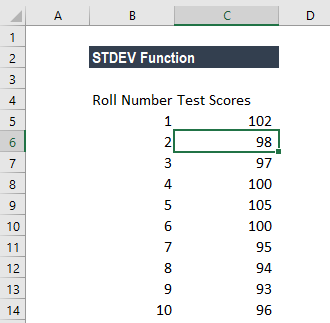 How to use the STDEV Function in Excel? #DIV/0! 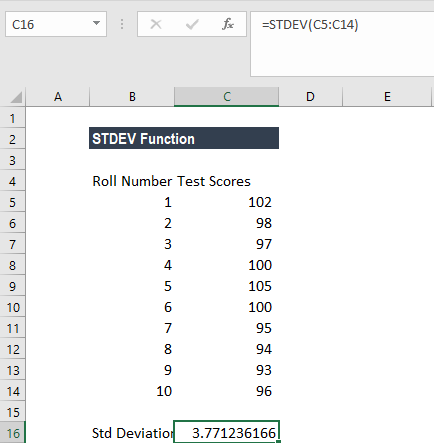 error – Occurs if less than two numeric values are provided to the STDEV function. #VALUE error – Happens if any of the given values to the function are text values. 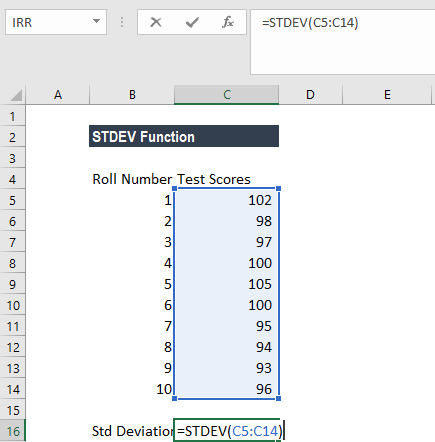 In MS Excel 2010, the STDEV function has been updated to the STDEV.S function. However, STDEV can still be used to allow for backward compatibility with older versions of Excel.